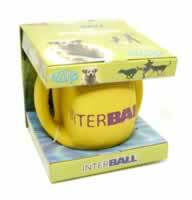 Interball is a fully interactive dog toy for dogs who love to play - its what dogs dream of. 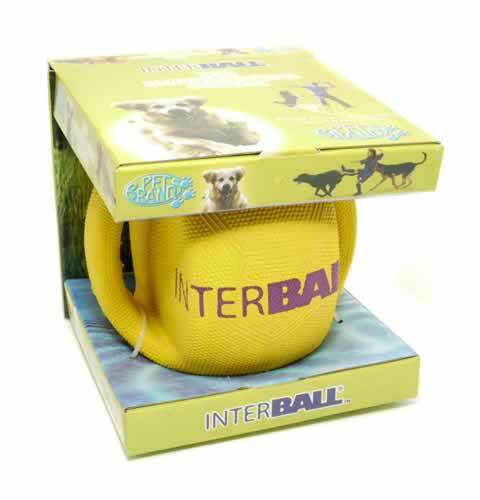 Manufactured from natural rubber and finished in bright yellow colour, this toy can be used both on land and on water and is perfect to keep your dog entertained, happy and fit. It can be kicked like a regular football, thrown like a retriever toy, floats in water and can be used as a tug toy with the aid of the incorporated reinforced handles which allow the dog to grip the ball without popping it. This product is ideal to offer hours of fun and exercise for both dog and owner. Note: This toy is strong, but not indestructible and should only be used under supervision.